The Gentle Cleanser rids the skin of excess oil, debris, pollutants, dirt, makeup and any other impurities. 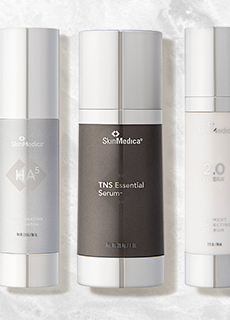 The Obagi Nu-Derm Gentle Cleanser #1 is the first step in the Nu-Derm System. The Gentle Cleanser’s delicate formula contains natural herbs and extracts that combined, create a lasting clean and refined look and feel. 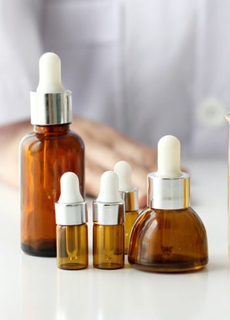 Obagi Gentle Cleanser is specially designed to adhere to those with normal to dry skin tones, but is also suitable for those with combination skin as its delicate formula will not irritate or cause excess dryness. Those with sensitive skin may find this an ideal choice for a facial wash as this product rinses clean while also soothing delicate skin. The Gentle Cleanser rids the skin of excess oil, debris, pollutants, dirt, makeup and any other impurities to leave the skin clean and fresh. 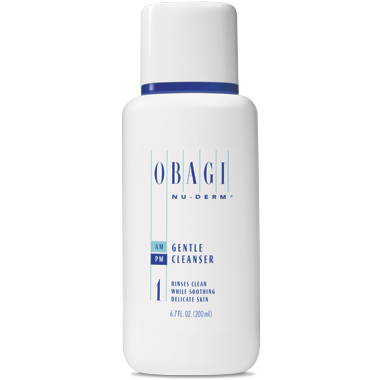 This cleanser aptly prepares the skin for other Obagi Nu-Derm products by cleansing and smoothing the complexion. Obagi Nu-Derm Gentle Cleanser is safe and delicate enough to use both morning and night daily to help soothe and refine the skin without any irritation.